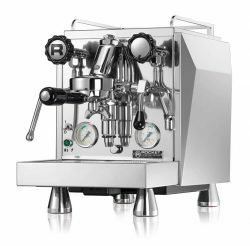 Purveyors of the finest Italian coffee machines & grinders..
All our espresso machines have professional e61 group heads. We guarantee you will pull rich consistent shots topped with intense tiger striped crème. There is no other way to do justice to a cup of coffee than to brew it from one of our machines. Furthermore, you’ll produce silky frothy milk for your cappuccino. These machines produce dry high volume steam just like a commercial setup. Our grinders have adjustable settings enabling them to produce grinds for any purpose. From fine espresso to coarse french press. Now you can grind your coffee just prior to brewing. Keeping your coffee fresher for longer.